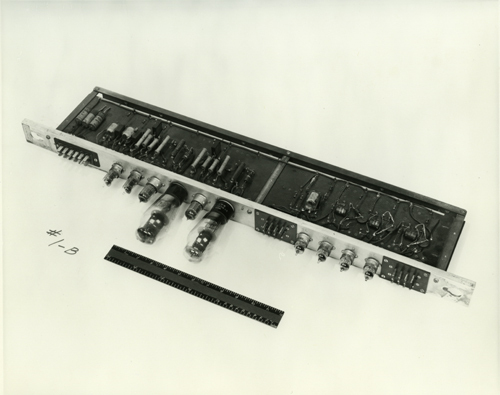 This is a black and white image of a chassis with tubes and transistors against a white background. In the foreground is a 12 in. ruler with metric scale. Written on the left side of the image is "#1-B".